With civil war raging between the rebels and forces loyal to Libyan leader Muammar Gaddafi, and NATO operations looking increasingly ineffectual, Russia finds itself in a unique position for getting the warring sides to the negotiating table. ­A Russian delegation arrived on Tuesday in the rebel stronghold of Benghazi, headquarters of the so-called National Transitional Council, where Russia will be exerting its influence to find a diplomatic solution to the months-long crisis. 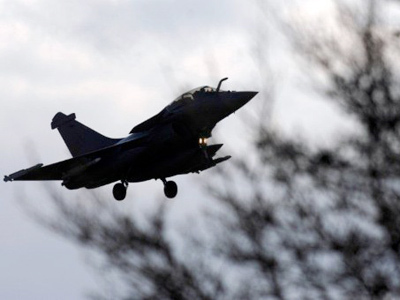 Russia has criticized the NATO air strikes on Libya, saying the coalition has exceeded a U.N. Security Council mandate to protect civilians. Russian President Dmitry Medvedev, however, has stressed that Gaddafi no longer has the right to lead Libya. 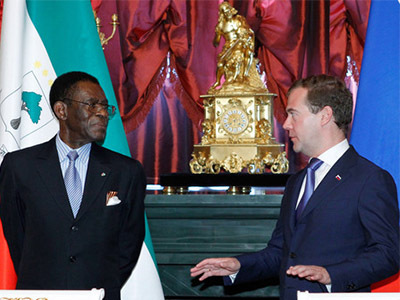 "The world community does not see him as the leader of Libya," Medvedev said during the G-8 Summit in Deauville, France. Russia, which abstained from voting on a UN Security Council Resolution that opened the way for military intervention, is still very much interested in the settlement process. Meanwhile, Mikhail Margelov, Russian special representative for Africa, attempted to get the diplomatic ball rolling on Tuesday when he met with chief of the National Transitional Council Mustafa Mohammed Abdul Jalil, as well as with the opposition's military affairs chief Omar al-Hariri and the prime minister of the NTC, Mahmud Jibril. "Russia having a unique position, still having our embassy in Tripoli and having political contacts with Benghazi,” he told reporters. “We are ready to help in finding ways for a political solution in the interest of the Libyan people." Margelov expressed the hope that the Libyan people will have an opportunity to bring change to their embattled country through democracy. "We know that the future, which the Libyan people will choose for themselves, with democratic elections at the end of the civil war will bring a bright future to the Libyan people,” Margelov said. “Russia is ready to help. Russia is ready to help now. Russia is ready to help politically, economically, and in other possible ways." Meanwhile, Russian Foreign Minister Sergei Lavrov reiterated that Russia is "not seeking the leading role in mediating efforts" in the current conflict between the government and opposition in Libya. 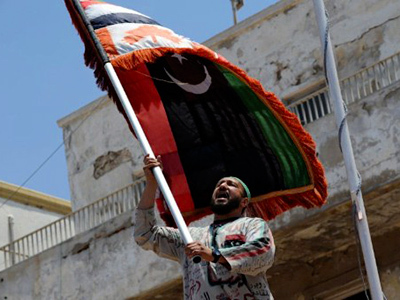 Libya is part of the 53-member African Union, and what is happening in the Arab country primarily affects the Libyan people and neighboring nations, the minister said. Lavrov added that Russia is against the Security Council adopting resolutions similar to the one on Libya with regard to other countries in the Middle East, calling instead for diplomatic measures to solve the crises. “As regards the proposal to also consider the Syrian scenario, similarly to the Libyan situation, in which the Security Council, and international community are bogged down, we believe that diplomacy should be aimed at resolving problems politically and not creating conditions for more armed conflicts," the Russian foreign minister said. In latest news, Margelov met with Muammar Gaddafi's cousin in Cairo, Egypt, a source from the Russian delegation told Interfax on Wednesday. The source refrained from commenting on the essence of the conversation. "It is likely that the conversation with Gaddafi's cousin concerned the situation in Libya and ways to settle it. In all likelihood, Russia's position was set out as well," he said. 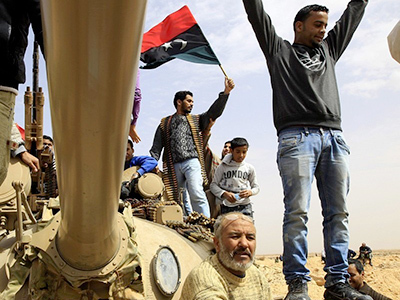 Meanwhile, the rebel forces, who control just one-third of the country, have been unable to advance on the capital Tripoli against the better-equipped federal forces. Thus, Gaddafi continues with his nearly 42-year reign. 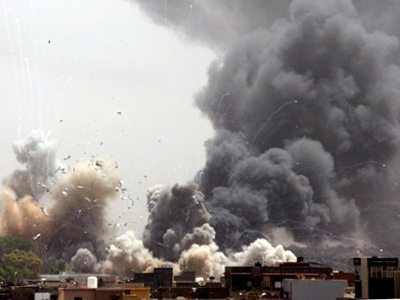 At the same time, Tripoli has come under increased aerial bombardment from NATO bombers in recent days, which included rare daytime raids on Tuesday, which, incidentally, was the Libyan leader’s 69th birthday.